The situation in Iran is complicated, and I don’t pretend to believe that there are any simple solutions. 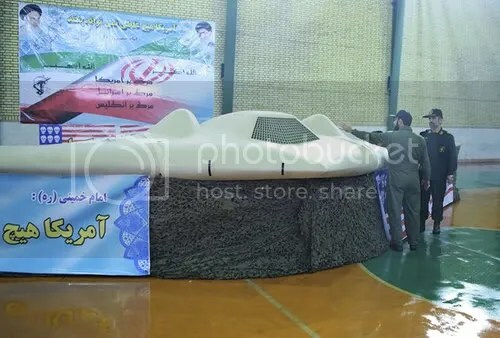 Iran has made no secret of its nuclear program, and while there is no evidence yet that Iran has made direct progress on actually constructing nuclear weapons, the groundwork and the intentions are there. For many reasons, a nuclear Iran is a scenario that the United States should strive to avoid. When dealing with diplomatic relations, it is every nation’s prerogative to decide what other nations they will trade with, and the extent of that trade. In attempting to circumvent the possible Iranian acquisition of nuclear weapons, it is important to keep economic sanctions on the table. As stated by EU Foreign Policy Chief Catherine Ashton, “the purpose of sanctions is to put pressure on Iran to come back to the negotiating table” concerning the new EU trade embargo on imports of Iranian oil. Without the diplomatic tool of economic pressure, there is very little incentive for Iran to negotiate on its nuclear ambitions. While we may have ample warning before Iran actually possesses nuclear weaponry, it is in the best interest of the United States and the allies of the U.S. in Europe and the Middle East to delay Iran’s acquisition of nuclear weapons. The sanctions are intended to put pressure on the Iranian economy, which in turn will put pressure on Iran’s political and business leaders to encourage them to meet with the international community and reconsider their nuclear plans. A common criticism is that these sanctions put undue pressure on the Iranian people, but the Office of Foreign Assets Control, which administers the United States foreign trade sanctions, has authorized thousands of exceptions to the sanctions so as to avoid any direct harm to the Iranian people. These sanction exceptions are in accordance with international humanitarian guidelines, which are in place to protect the Iranian people. The United States continues to send exports to Iran, which in 2011 exceeded $160 million, and extended to such products as airline maintenance parts to ensure safety on Iranian civil airlines. The economic sanctions have even had the unintended effect of cushioning the Iranian economy from the global economic downturn of the last few years. On top of these factors, the United States has repeatedly demonstrated its commitment to the Iranian people through actions in support of the Iranian green movement, as well as more recently with the series of rescues of stranded Iranian civilian fishermen in the Strait of Hormuz. In the interest of stability in the Middle East, Iran should not acquire nuclear weapons, since a nuclear Iran may be unpredictable and/or aggressive towards Israel and other nations in the region. A nuclear Iran would be especially worrying since Israel has indicated in the past that if Iran were to appear to have acquired nuclear weapons, Israel would not hesitate to strike first. Neither of these outcomes is desirable for peace or stability in the already volatile region of the Middle East. Additionally, a weaker Iranian economy would mean fewer resources for other instruments of Middle Eastern disarray known to be supported financially by Iran, namely Hezbollah and Hamas. If the United States can utilize economic sanctions to encourage Iran to take a step back from its nuclear intentions — without engaging in military activity, while demonstrating support for the Iranian people and fostering the goals of security in the Middle East — then it would seem that economic sanctions as a diplomatic tool are advisable. The condition of Iranian society and its economic system in the modern world has been characterized by the stranglehold of Western imperialism. First it was Great Britain and Russia — draining Iran it of its resources for their own economic and geopolitical advantage in the decades leading up to World War I, and long into the twentieth century in the case of Britain. After World War II, the United States became the heir to this legacy. In 1953, the CIA staged a coup to overthrow Iran’s socialist leader after he nationalized his country’s oil fields, placing them under the total sovereignty of Iran for the first time since their discovery in 1908. The U.S.-supported dictator that was placed in power, Muhammad Reza Shah, cut a very good deal with the United States government — he gave American companies majority access to work Iran’s oil fields and export oil back home while the United States sold him millions of dollars of weapons —but he gave his own subjects a very bad deal. The Shah ignored his country’s Islamic tradition in order to win favor with the United States and other Western powers, and spent lavishly on events and processions while he suffocated the Iranian economy. In 1979, the Iranian people rejected the Shah’s rule, took to the streets in massive protests, endured incredible state violence, and eventually overthrew their autocratic leader. The regime of Ayatollah Khomeini emerged after this, and still exists today in Iran. It is founded on Islamic principles of law and independence from outside powers, though it didn’t exactly fulfill the demands of the people in 1979. The current attitude of Iran’s leaders toward the United States is the result of American aggression and imperialism, and not the other way around. Perhaps it is time for our leaders to decide that aggression is not the best way to handle matters with Iran. Calls for increased pressure on Iran to discontinue its nuclear program have been led by Israel’s hawkish leaders, namely defense minister Ehud Barak and prime minister Binyamin Netanyahu. They maintain their doomsday warnings of an Iranian nuclear attack in full knowledge that a major rift with Israel’s leaders could damage Obama’s bid for another term in the presidency, elections for which will happen later this year. The public strategy of condemning Iran has been accompanied by a covert campaign, led by Israel’s Mossad and U.S. intelligence organizations, to disrupt and dismantle Iran’s nuclear program. Many assassinations of prominent Iranian scientists involved in the program over the past few years have been attributed to this operation (see first linked article). Economic sanctions on Iran, imposed by the United States along the UK and Canada in November, aimed to squeeze companies and financial institutions that do business with Iran’s petrochemical and nuclear industries, proclaiming those industries as criminal. In January, the European Union also stepped in and announced an embargo on oil imported from Iran, which Iran responded to by reiterating its threat to close the Strait of Hormuz. Iran’s recent actions are evident of a state that is being pushed out and isolated from the international community, which is occurring because it will not cooperate with the United States and Israel’s design for the Middle East. Harsh economic sanctions are merely a means to appease public opinion, but they do nothing to assuage the perceived enemy, especially when its main grievance is that the U.S. and other Western powers are aggressive and obtrusive. These recent actions do nothing except prove Iran’s point and give them a more militant view of the West. For this, economic sanctions against Iran are a zero-sum game, and the United States has little credibility until it is willing to show that it will engage with Iran on a level playing field. Al Jazeera. “Iran Hit with Sanctions over IAEA Report.” Al Jazeera. 22 Nov. 2011. Web. Newspaper Limited, 21 Jan. 2012. Web. 29 Jan. 2012. Company, 25 Jan. 2012. Web. 29 Jan. 2012. Media Group Limited, 24 Jan. 2012. Web. 29 Jan. 2012. Image Courtesy of Flickr user Kurt Womack.